The TJ2132 is a 2.0A high performance ultra low-dropout linear regulator ideal for powering core voltages of lowpower microprocessors. The TJ2132 implements a dual supply configuration allowing for very low output impedance. The TJ2132 requires a bias input supply and a main input supply, allowing for ultra-low input voltages on the main supply rail. 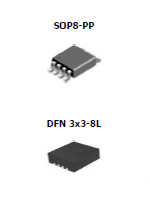 The input supply operates from 1.1V to 5.5V and the bias supply requires between 2.7V and 5.5V for proper operation. The Soft-Start reduces inrush current of the load capacitors and minimizes stress on the input power source during start-up. The TJ2132 delivers high current and ultra-low-dropout output voltage as low as 0.6V for applications where VOUT is very close to VIN. The TJ2132 is developed on a CMOS technology which allows low quiescent current operation independent of output current. This technology also allows the TJ2132 to operate under extremely low dropout conditions.